Have you had a gel manicure? I swear by them! They keep my nails looking polished (no pun intended, seriously) and eye-catching, and I don't have to go in every week. They last me about 17 days, 21 if I'm lucky! 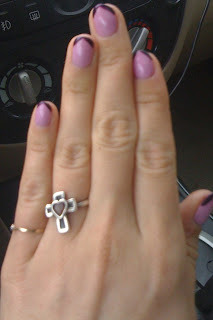 Check out my article on Examiner.com for some things you need to know about gel manis. Also, I included some info on my favorite salon in LA, Wynn Nail Spa, with tips from my technician, Van.